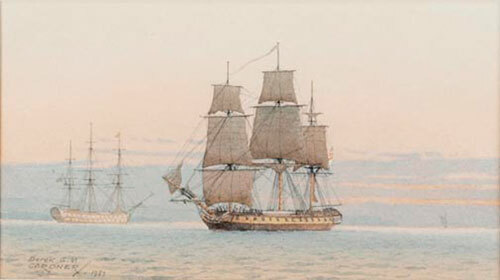 The beginning of the engagement. 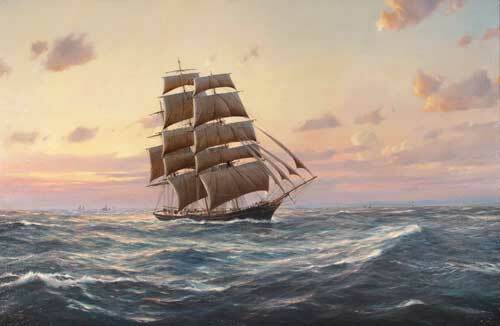 Derek Gardner was the leading British maritime painter of the 20th century. 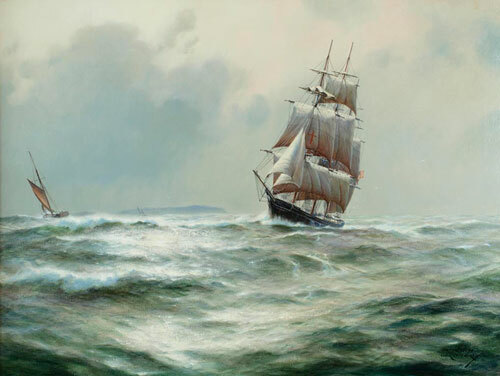 He was a self-taught artist who became a master of his art by virtue of his ability to convey the colour, the luminosity and all the drama of the wind and sea. 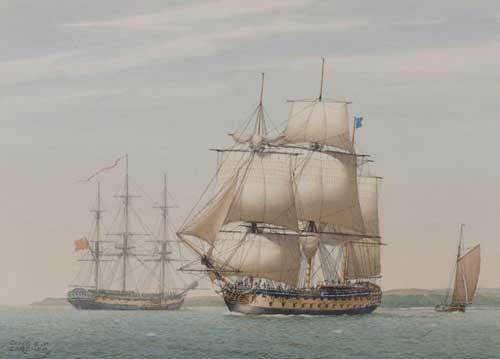 More than this, he was unique in his ability portray ships with great accuracy and an attention to detail that was the result of many hours of painstaking research and preparation. 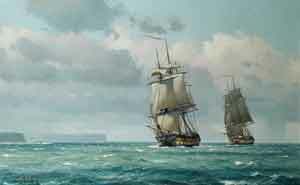 He came to international notice from 1968 when he began exhibiting with Robert Jack & Stephen Jack at the Polak Gallery in London. 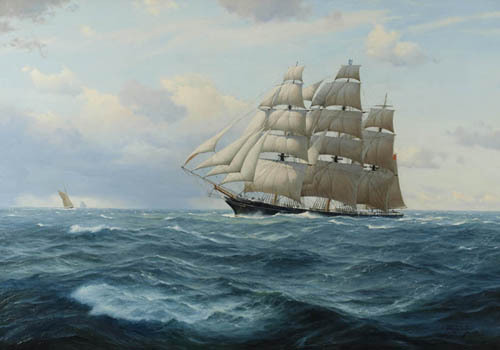 In the years from 1968 – 1999 the majority of Derek Gardner's paintings – over 400 works in all - were sold at the Polak Gallery. 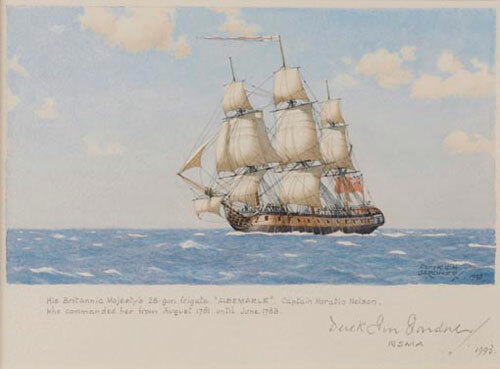 A series of seven highly successful one-man exhibitions took place at the Polak Gallery - 1972, 1975, 1978, 1982, 1987, 1990 and 1995 - each exhibition accompanied by a splendid catalogue where Derek documented all the works on display. 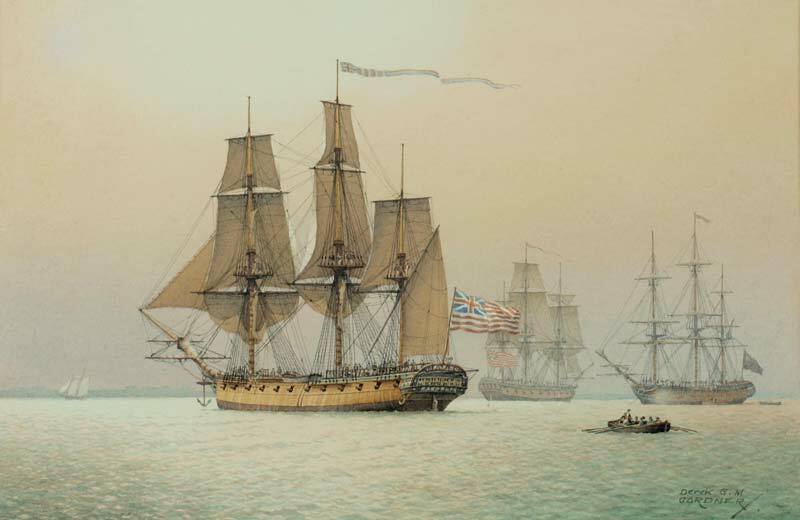 The location in central London meant that the Gardner paintings were finding a large enthusiastic audience from all parts of the world, most notably in the USA. 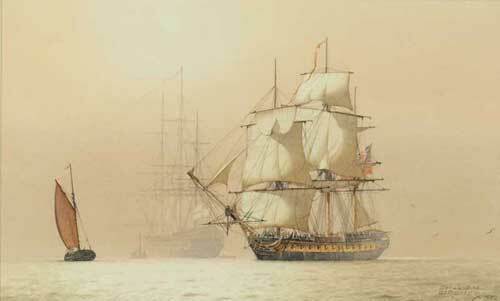 "The Western Squadron" , Indefatigable, Jason, Concorde and Duke of York (lugger) leaving Falmouth, April 1795. 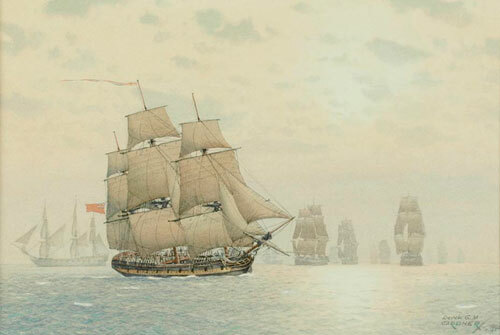 The capture of the "Reunion" by the "Crescent", 17th October 1793. 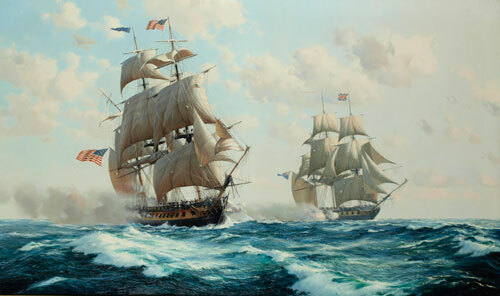 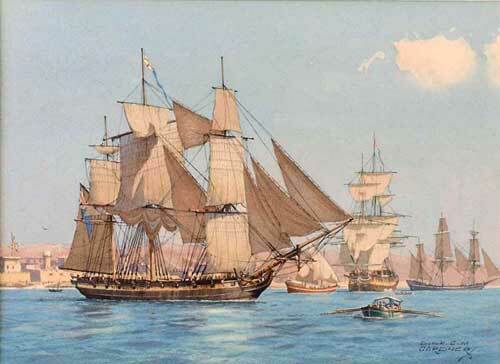 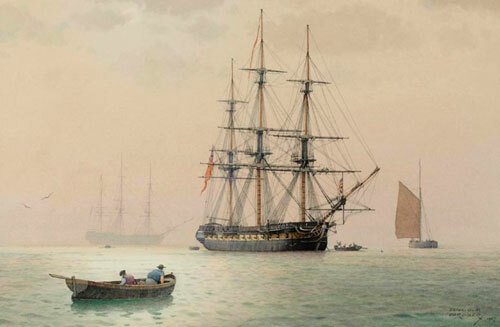 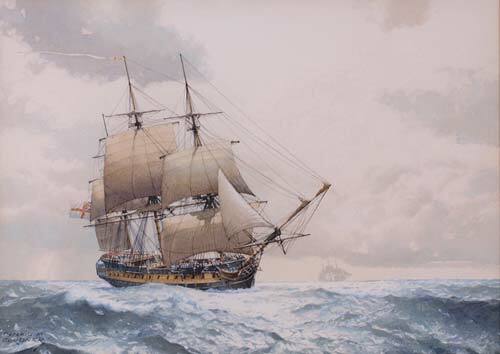 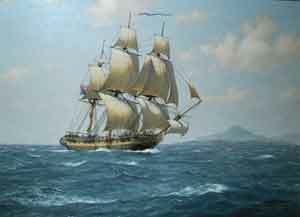 The American Continental 32-gun frigate "Randolph"
Derek Gardner loved to portray the great square rigged sailing ships of the 19th Century and 20th century. 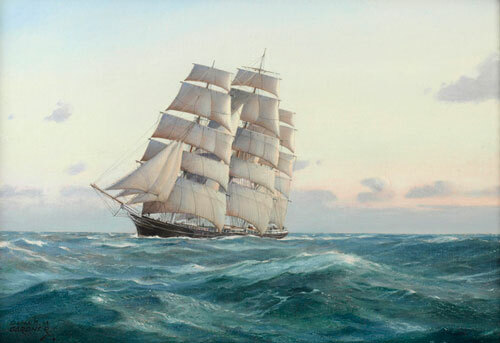 Often he gave these paintings titles like “The Record Breaker” and “Fast Sailing” reflecting his view of these fast and sleek vessels, which Derek could portray so well by capturing all the elements of wind, sea and speed. 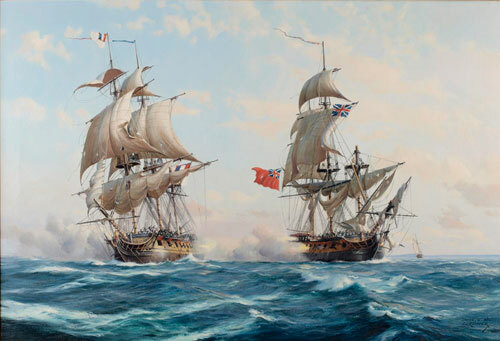 In addition to these paintings of the great clipper ships racing over the seas, Derek's greatest passion was in portraying the naval ships of the eighteenth and early nineteenth centuries. 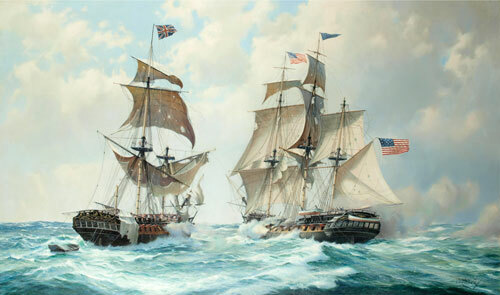 Derek explained that this interest started at a relatively young age when he read the “Life of Nelson”. 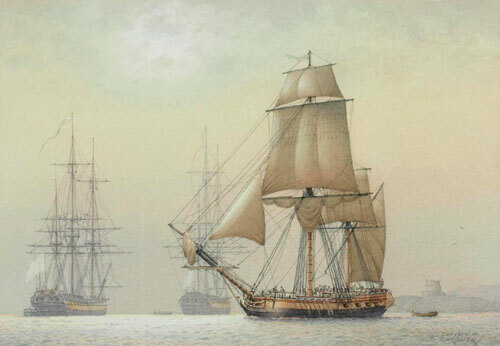 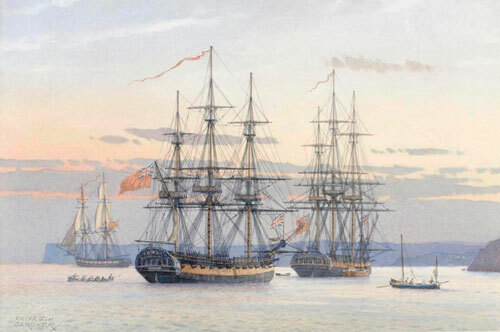 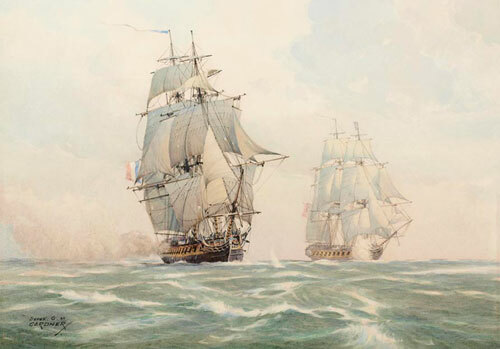 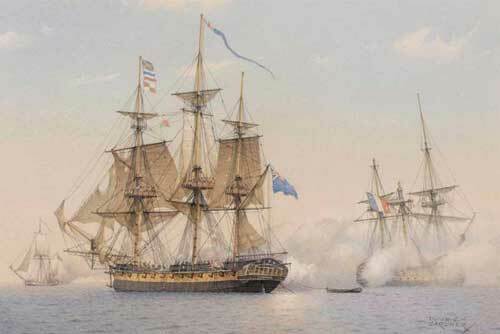 He loved painting the ships and battles from the Nelson era; so much so that at the age of 91 his final exhibition was devoted almost entirely to Nelson's ships. 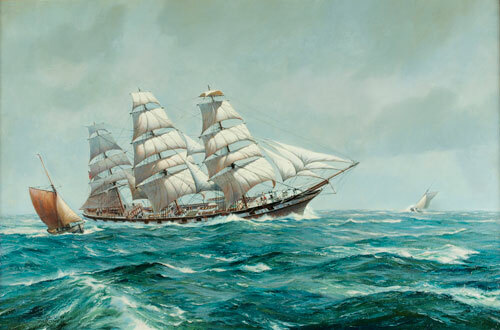 Today Derek Gardner is widely recognised as the leading marine artist of his era and his work continues to fascinate collectors on both sides of the Atlantic. 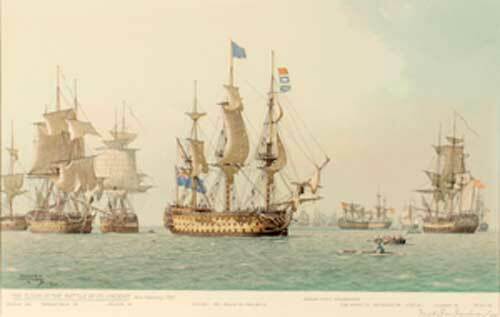 His work is in a number of public collections including the National Maritime Museum at Greenwich, the Royal Naval College at Dartmouth, the museums in Bermuda and Tenerife and in many private collections worldwide. 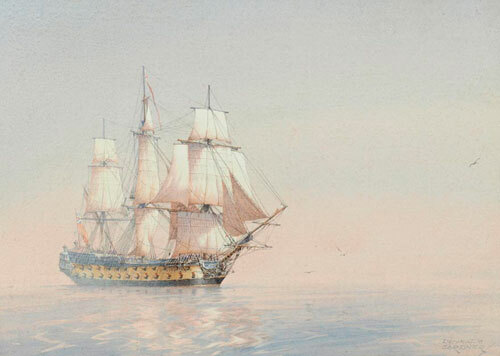 Watercolour 10 x 17½ inches. 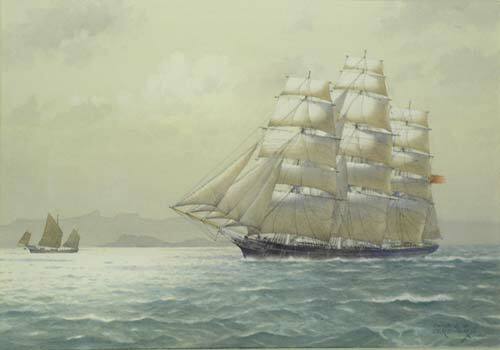 Signed & Dated 1990. 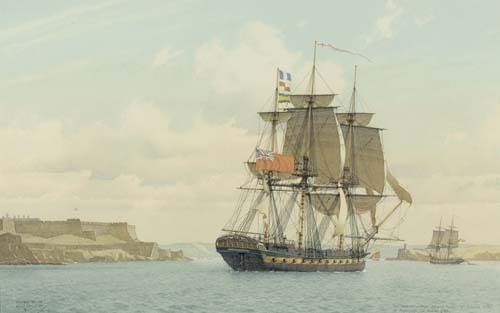 Captain Horatio Nelson, commander from 1781 - 1783. 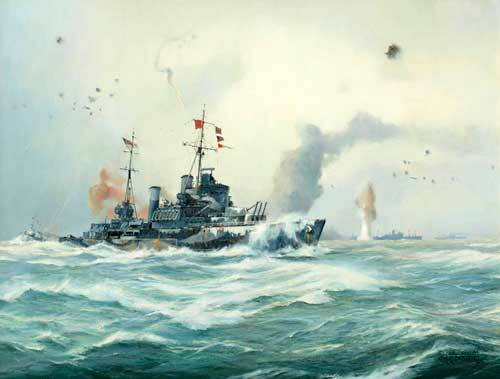 As the world's leading specialist in the paintings of Derek George Montague Gardner, RSMA we are always interested in acquiring paintings by this exceptional marine artist as we have clients willing to pay top prices for his work. 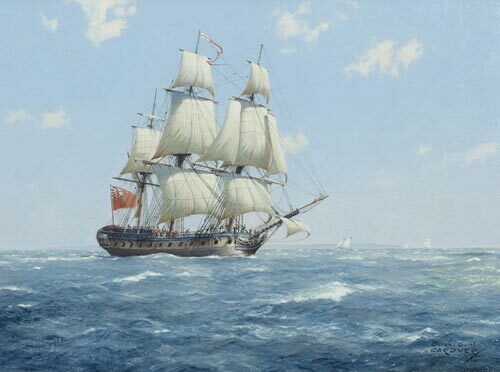 Our website is the best online resource featuring the work of Derek Gardner, showing paintings that are currently for sale, an archive of some of the works we have sold together with details of publications and literature about the artist. 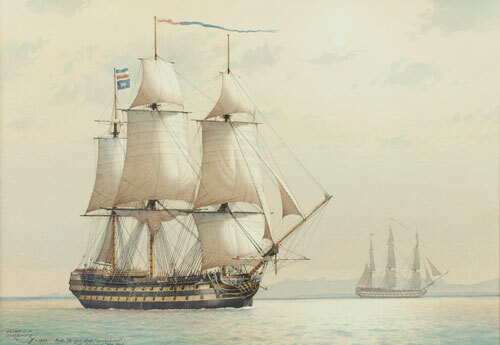 His Britannic Majesty's 38-gun ship "Spartan"
Nelson's Albemarle, 28-gun frigate, ex "Menagere"
Thunderer & Robust "Off Bell Isle"